Optical Surfaces Ltd. (OSL) announces selection by Hensoldt Optronics GmbH, formerly Airbus (Oberkochen, Germany) to supply key precision optics for optical testing the Ganymede Laser Altimeter (GALA), one of 10 scientific instruments on-board the JUICE (Jupiter Icy Moon Explorer) mission. 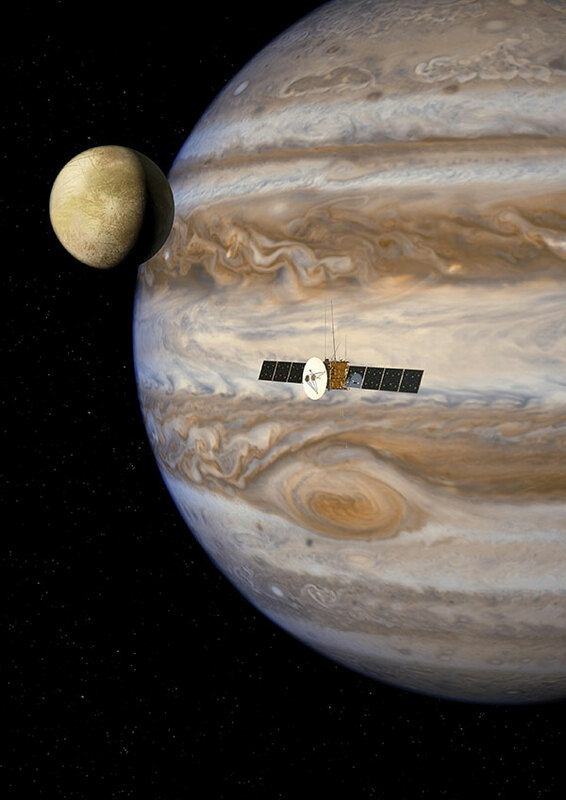 The JUICE mission is part of the European Space Agency (ESA) cosmic vision programme and its objective is to study Jupiter’s plasma environment and the three icy moons Ganymede, Europa and Calisto. The JUICE spacecraft will be launched in 2022 on an Ariane 5 rocket. After its 8 year voyage it will enter an orbit around Jupiter. During the following three years the orbit will be gradually adjusted and after several fly-bys at Callisto, Europa and Ganymede the spacecraft will reach its final orbit around Ganymede. GALA will be used to determine the topography and time dependent shape of the moon by a direct laser altimetry approach. Strong electron field faced by JUICE mission in Jupiter orbit. The GALA instrument is composed of three units: a transceiver unit, a laser electronics unit and an electronics unit all designed to withstand the challenging environment of Jupiter. At the heart of the transceiver unit is a lightweight Ritchey–Chrétien telescope incorporating precision optics capable of providing topographical vertical resolution of less than 5 metres and measure radial tidal deformations of the moons ice shell with an absolute accuracy of less than 0.03. Because of its international reputation for supplying outstanding mounted optics for telescope systems and instruments, Hensoldt selected Optical Surfaces Ltd. to manufacture and supply a 550 mm diameter off-axis parabolic mirror and two identical folded flat mirrors (600 mm diameter) for optical verification testing of the Ritchey–Chrétien telescope in the GALA instrument. Dr Aris Kouris, Sales Manager for Optical Surfaces Ltd. commented “To be chosen as a supply partner to help enable the JUICE mission is a great honour. Drawing upon our many decades experience in building telescope systems, we were able to propose a solution to overcome the considerable difficulties posed by the manufacture and testing of the high precision optics”. For further information on high performance beam expanders please click here or contact Optical Surfaces Ltd. on +44-208-668-6126 / sales@optisurf.com.